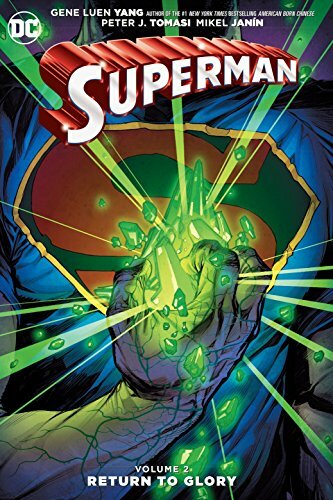 9781401265113 | Dc Comics, November 8, 2016, cover price $22.99 | About this edition: HE’S NEVER BEEN SO POWERLESS. 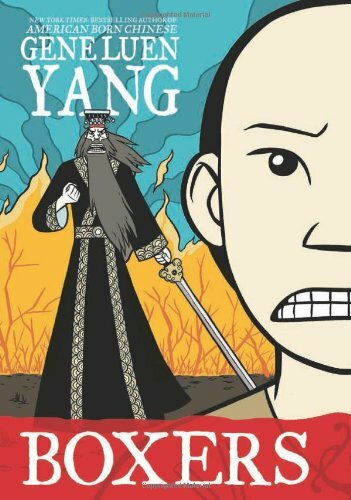 9781626723405 | First Second, August 30, 2016, cover price $18.99 | About this edition: Gene Luen Yang is the National Ambassador for Young People's Literature and is a MacArthur Fellow, a recipient of what's popularly known as the MacArthur "Genius" Grant. 9780606385626 | Turtleback Books, August 30, 2016, cover price $22.10 | About this edition: FOR USE IN SCHOOLS AND LIBRARIES ONLY. 9781616557614 | Dark Horse Comics, October 6, 2015, cover price $10.99 | About this edition: The Fire Nation is threatened by a prophecy told by the Kemurikage--mysterious figures thought only to exist in legend--remove Zuko from the throne or the country will perish! 9781934750551, titled "The 826 Quarterly, Fall 2014" | 826LA, November 18, 2014, cover price $18.00 | also contains The 826 Quarterly | About this edition: This edition of the 826 Quarterly contains fiction, non-fiction, and poetry written by authors ages 6-18. 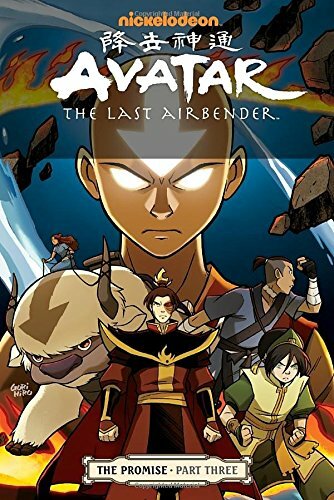 9781616552978 | Dark Horse Comics, November 18, 2014, cover price $10.99 | About this edition: Team Avatar is in peril as a dangerously powerful ancient spirit awakens with vengeance and destruction on its mind. 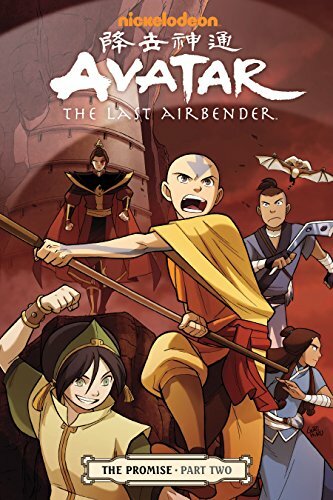 9781616552961, titled "Avatar The Last Airbender The Rift 2: The Rift" | Dark Horse Comics, July 29, 2014, cover price $10.99 | About this edition: Written and drawn by the team behind the best-selling books, Avatar: The Promise and Avatar: The Search, Gene Luen Yang and Gurihiru, in collaboration with the Avatar: The Last Airbender and Legend of Korra animated series creators Michael Dante DiMartino and Bryan Konietzko, this is the ultimate continuation of the Avatar animated series and the perfect companion to the currently-running Legend of Korra! 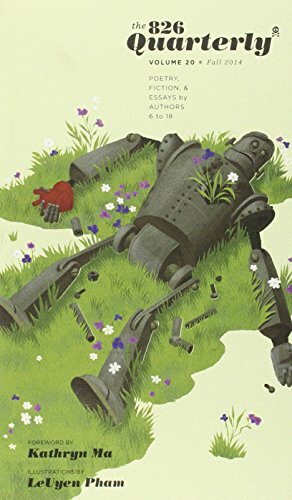 9780606355216 | Reprint edition (Turtleback Books, July 15, 2014), cover price $30.60 | About this edition: FOR USE IN SCHOOLS AND LIBRARIES ONLY. 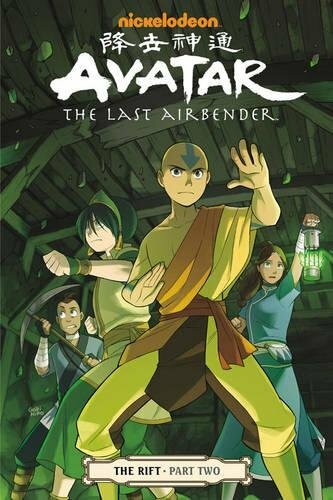 9781616552954, titled "Avatar The Last Airbender The Rift 1" | Dark Horse Comics, March 18, 2014, cover price $10.99 | About this edition: Avatar Aang asks his friends to help him honor Yangchen's Festival—one of the highest Air Nomad holidays, which hasn't been celebrated in over one hundred years. 9781616552268 | Dark Horse Comics, February 18, 2014, cover price $39.99 | About this edition: The biggest mystery of Avatar—the fate of Fire Lord Zuko’s mother—is revealed in this remarkable oversized hardcover collecting parts 1–3 of The Search, from Airbender creators Michael Dante DiMartino and Bryan Konietzko! 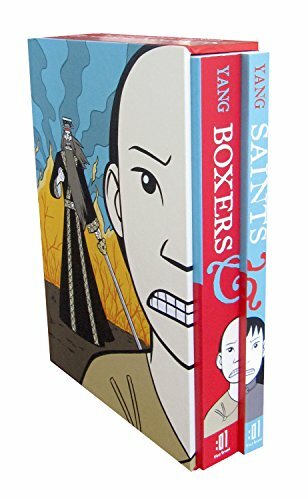 9781596439245 | Box edition (First Second, September 10, 2013), cover price $34.99 | About this edition: Gene Luen Yang is the National Ambassador for Young People's Literature. 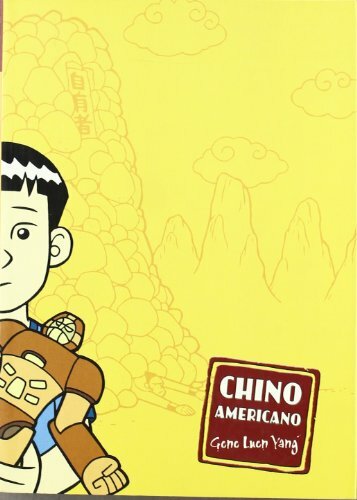 9781596433595 | First Second, September 10, 2013, cover price $18.99 | About this edition: Gene Luen Yang is the National Ambassador for Young People's Literature and is a MacArthur Fellow, a recipient of what's popularly known as the MacArthur "Genius" Grant. 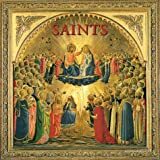 9781596436893, titled "Saints: Saints" | First Second, September 10, 2013, cover price $15.99 | About this edition: Gene Luen Yang is the National Ambassador for Young People's Literature and is a MacArthur Fellow, a recipient of what's popularly known as the MacArthur "Genius" Grant. 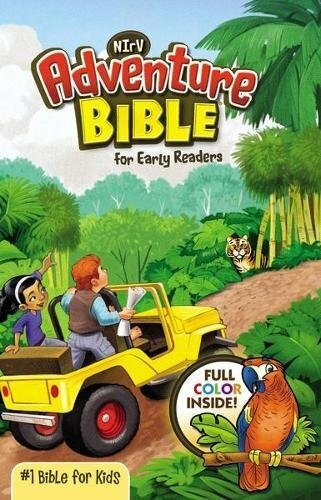 9780606323055 | Reprint edition (Turtleback Books, September 10, 2013), cover price $28.15 | About this edition: FOR USE IN SCHOOLS AND LIBRARIES ONLY. 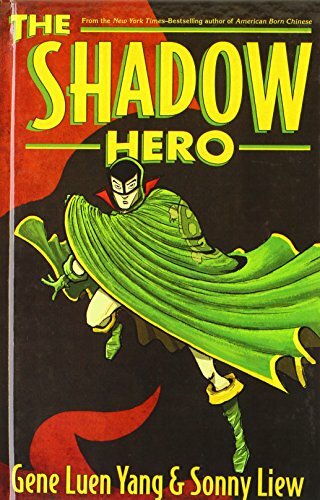 9780606323048 | Reprint edition (Turtleback Books, September 10, 2013), cover price $31.80 | About this edition: FOR USE IN SCHOOLS AND LIBRARIES ONLY. 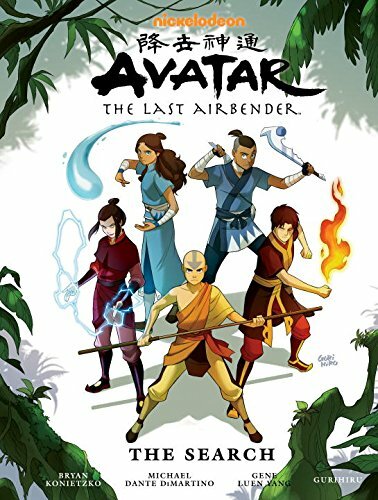 9781616551902 | Dark Horse Comics, July 23, 2013, cover price $10.99 | About this edition: In search of their long-lost mother, Fire Lord Zuko and his deadly and insane sister Azula have brought Avatar Aang and his friends into a mysterious forest, but what they discover within may be more than they can face. 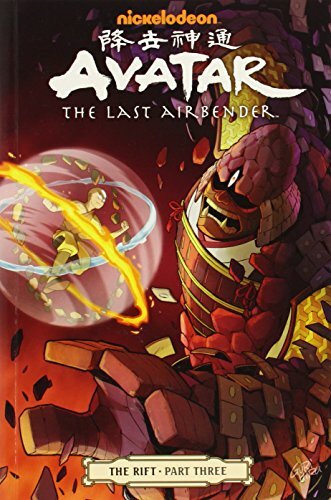 9781595829412 | Dark Horse Comics, October 9, 2012, cover price $10.99 | About this edition: Avatar: The Last Airbender creators Michael Dante DiMartino and Bryan Konietzko bring The Promise to its explosive conclusion! 9781595828750 | Dark Horse Comics, June 12, 2012, cover price $10.99 | About this edition: Aang and Katara are working tirelessly for peace when an impasse between Fire Lord Zuko and Earth King Kuei over Fire Nation colonies within the borders of the Earth Nation threatens to plunge the world back into war! The wait is over! 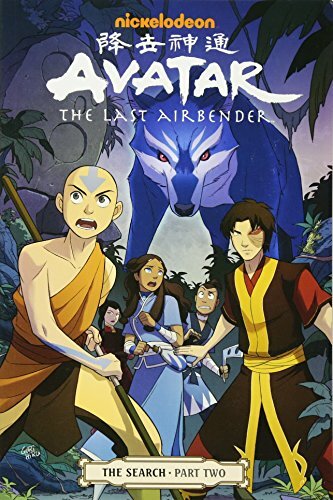 Ever since the conclusion of Avatar: The Last Airbender, its millions of fans have been hungry for more - and it''s finally here! Think of it as Book (season) Four of Avatar! 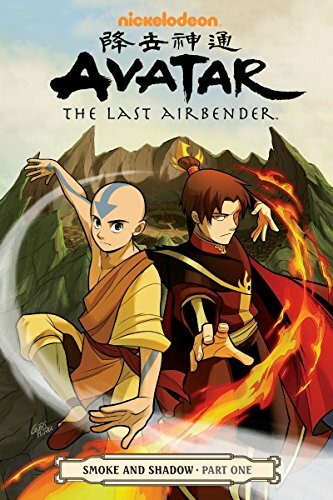 This series rejoins Aang and friends for exciting new adventures, beginning with a face-off against the Fire Nation that threatens to throw the world into another war, testing all of Aang's powers and ingenuity! 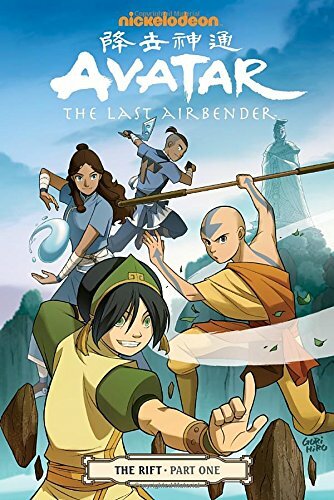 Written by National Book Award Nominee Gene Luen Yang (American Born Chinese), in close collaboration with series creators Michael Dante DiMartino and Bryan Konietzko, this is the story that Avatar lovers have been clamoring for, as well as a perfect jumping-on point for new fans! 9781595828118 | Dark Horse Comics, February 7, 2012, cover price $10.99 | About this edition: The wait is over! 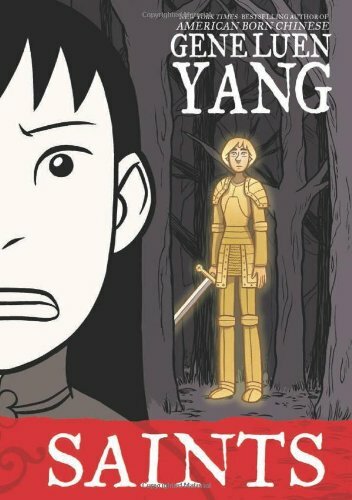 9781596436503 | Collectors edition (First Second, April 13, 2010), cover price $19.99 | About this edition: From the pages of the New York Times and the pen of Printz Award winner Gene Luen Yang comes a tale of math, aliens, and new siblings. 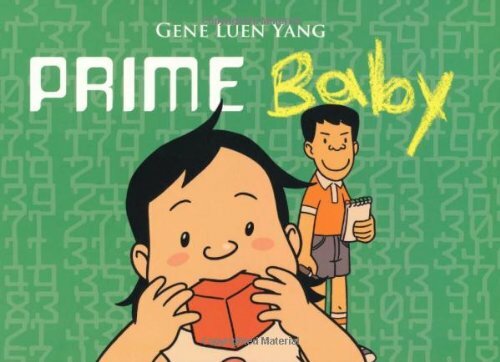 9781596436121 | 1 edition (First Second, April 13, 2010), cover price $6.99 | About this edition: From the pages of the New York Times and the pen of Printz Award winner Gene Luen Yang comes a tale of math, aliens, and new siblings. 9781596433731 | Gph edition (First Second, October 30, 2007), cover price $23.99 | About this edition: Alternates three interrelated stories about the problems of young Chinese Americans trying to participate in the popular culture. 9781596432086 | Collectors edition (First Second, September 5, 2006), cover price $29.95 | About this edition: Alternates three interrelated stories about the problems of young Chinese Americans trying to participate in the popular culture. 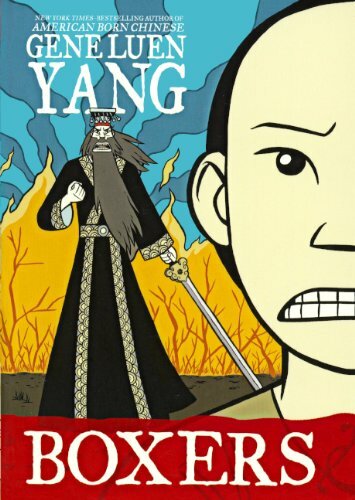 9780312384487 | Reprint edition (Square Fish, December 23, 2008), cover price $10.99 | About this edition: Gene Luen Yang is the National Ambassador for Young People's Literature. 9781596431522 | First Second, September 5, 2006, cover price $18.99 | About this edition: Alternates three interrelated stories about the problems of young Chinese Americans trying to participate in the popular culture. 9781417754496 | Turtleback Books, September 1, 2006, cover price $30.55 | About this edition: Alternates three interrelated stories about the problems of young Chinese Americans trying to participate in the popular culture. 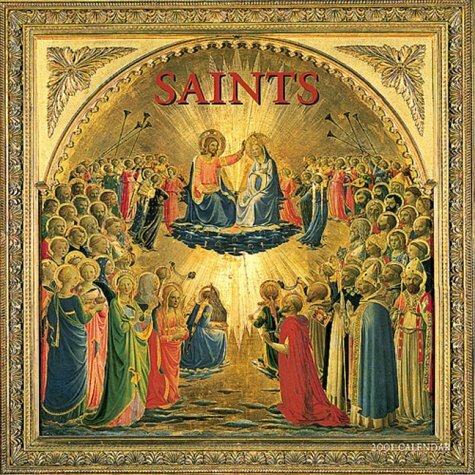 A brush with the supernatural?A rock concert? A reunion? A poolside revelation?The need to know what's up? The confessions of a friend?The dream of escape? A sick pet? An English assignment? The rear-window view of a murder next door?The search for the mother you never met?What keeps you up all night? 9780061370762 | Harperteen, May 1, 2008, cover price $16.99 | About this edition: A brush with the supernatural?